Many observers say that Britain is a conservative nation. We hanker after our lost empire, revert to knee-jerk hang 'em, flog 'em then throw away the key reactions to not only criminals, but also those with darker skin tones and Asian accents. That self righteous pub pontification can so easily spill over into mainstream life attitudes. The free and easy Internet has seen to that. It's not just the ravings of a mad dictator from the west that are found on Twitter. We all want to live safely, free from threats of terror and crime. But in some people's eyes, the police are no better than the criminals, just better dressed. Consider, that for more years than not, this country has muddled on without a police force. For some time the Church played a role in maintaining public behaviour, for many years local landowners or bigwigs meted out summary punishments, involving stocks, pillories, whippings, and hangings. Ever since the reign of Edward I in the latter part of the 13th century we have had laws concerning civil obedience, justice, and fair governance. What we lacked was an executive body to oversee public compliance. Where's a Bobby When You Need One? Sir Robert Peel - National Portrait Gallery. Sir Robert Peel (1788 - 1850) was twice Tory Prime Minister of this country. He is most remembered for forming the first modern police force in England, and repealing the protectionist Corn Laws, against the wishes of his party, the landed gentry, and the farmers of the land. The Corn Law repeal, whist being a pretty good idea, was what ended his career and that of the government he led. He was dour and determined. William Gladstone spoke of his "righteous dullness". Peel never lost his Lancashire accent, being born in Bury. "He had managed his elocution like his temper," said Benjamin Disraeli, Peel's great tormentor: "neither was originally good." 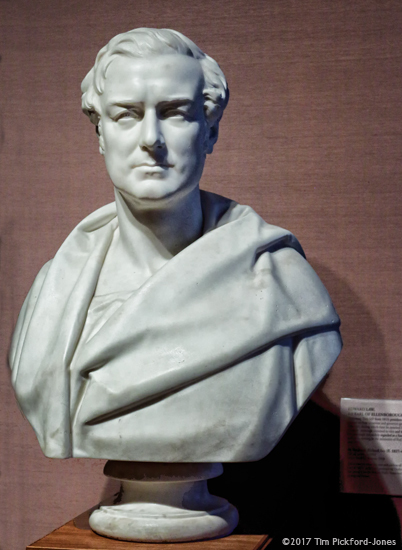 Considered an arch unionist, opposed to Catholic emancipation, he was nicknamed "Orange Peel". The police, however, ended up a far more popular measure. Robert Peel took up the concept of professional policing when he became Home Secretary in 1822. The idea was opposed early on because of fears of an authoritarian, possibly armed, militia suppressing freedom, it being similar to what existed in Paris; we know how much 19th century people hated the French, and people thought that the government had no business telling them what they could or couldn't do. Peel's Metropolitan Police Act of 1829 established a full-time, professional, organised police force for the Greater London area. Police officers were regarded as citizens in uniform. The first Commissioners under Peel, Charles Rowan and Richard Mayne, drew up nine principles of policing. They included to prevent crime and disorder, to do so by consent of the populace, gaining co-operation of the public to abide by the law rather than by force, not to serve punishment but to act as agents of the courts, and that the mark of effective policing is the absence of crime, not a show of action in the public arena. These are precepts that officers would do well to observe today. Police power comes from the consent of the public rather than the imposition from the state. The model of London's police was quickly taken up by all counties and boroughs in England and Wales. Scotland and Ireland had already established their own forces. Scotland adopted the policing by consent model soon after England, but the Irish police, now confined to the six counties, remains to this day somewhat more militaristic and domineering. So Peel was a compassionate Tory. He steered laws outlawing children in coal mines, introduced the Factories Act, restricting working hours, giving health and safety a first outing, and curbing the excesses of railway companies by ensuring plentiful and affordable travel. The arch Tories of his day were apoplectic with rage, it was the last straw when he succeeded in repealing the Corn Law in 1846. The party rejected its leader. He had reformed his party; today he would be called a radical moderniser, but was thrown out with a rump of supporters, termed Peelites, who ended up forming an alliance with the Whigs and Radicals to establish the Liberal Party. Peel did not live to see this legacy of his people centred policies, as he died in 1850 following a riding accident. So, the police continued as a taxation funded force, independent of the government in power. It was immune from the fads of public fashion, being neither an arbiter of justice nor a server of retribution, but attempting to maintain tranquility in all around. To be sure, there have been rouge officers throughout history. Its very nature attracts those who seek power or to dominate others. There is a greater proportion of psychopaths in the police force than in the general population. Every few months we hear of a policeman being discovered in wrongdoing. Sometimes this leads to horrific suicide scenarios, involving the death of innocent family members. 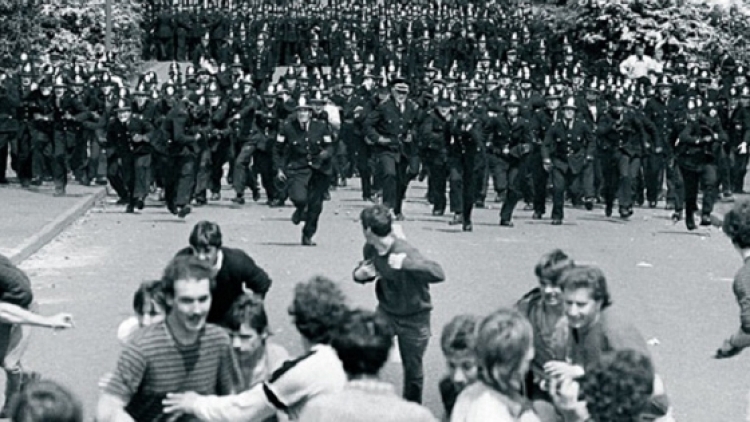 But it was not until the reign of terror brought about by Margaret Thatcher in the 1980s, that the police were engaged in a political war on the side of the Tories against working people in Britain. The action centred around the threatened coal mines, but the message couldn't be clearer. If you were not a toff you were in the cross hairs. The police, augmented by the army - some said that soldiers were dressed as policemen - were drafted en mass to choreographed showpiece battles of unparalleled violence, acted out in front of the news cameras. Where then was Peel's compassion? Where was his policing by consent? Tub thumping press barons whipped up hysterical hatred then as they do now. Miners were the enemy. There were Communists hiding in every shadow. Anyone not wearing blue with a few millions (real or imaginary) stashed away was in danger of being labelled a Trotskyite. Good old fear and prejudice became respectable. And who was there to make sure it all went according to plan? Why, the police force. of course. Maggie's Private Army. It is an episode so infamous that even today's cuddly police service, note the subtle change in name there, striving to serve and protect, has yet to live down. It spawned the excesses of Hillsborough, as well as countless lies on oath, innocents languishing in gaol, and mysterious injuries and deaths in custody. After the dark days of Thatcher, with her grasping monetarist mantra and her pile it high, sell it cheap attitude to public assets, the Tories have tried to appear less threatening, whilst maintaining their patronage of the rich at the expense of the poor. A good trick if they could pull it off. 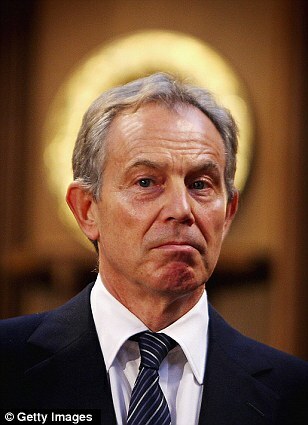 One that almost did was Saint Tony of Sedgefield, patron saint of war. Not a Tory, I hear you say? Sneaking into the Labour fold, his sheep's clothing fooled many. His landslide at the 1997 election was a sure sign that he hadn't pulled the wool over the eyes of many in the establishment and middle classes. He swept in with his modern, call me Tony, breath of fresh air that was little more than window dressing for the underlying Tory policies he would pursue in government. Let's take the police as an example. The cry from the rooftops, carefully crafted for the headlines, was Tough on Crime: Tough on the Causes of Crime. Underneath the bonnet, the engine was moving into Tory gear. During John Major's attempted rehabilitation period, police funding increased by 3.2% per year. With Tony in charge, all that toughness meant a slowdown to 0.4% by 2001. By then violent crime had increased, but police recruitment was at a seven year low. Scotland Yard saw its budget slashed, in the regions, forces were depleted. The Metropolitan Commissioner described his force as in crisis just three years into Saint Tony's turn of the screw at the helm of New Labour. Today's Tories try to fool us into thinking that Saint Tony's tenure was one of profligate spending, and wanton wastage. In truth, the New Labour government slashed public expenditure in many departments except that for carrying out a costly war in Afghanistan then an even more costly and destructive one in Iraq. New Labour pushed through privatisation by stealth, sometimes dressed up as efficiency savings, in education, health, and transport. By the end of his time at the top, Saint Tony had cast aside his disguise; the emperor's clothes were now non existent. We all saw the naked truth; Tony is a Tory. 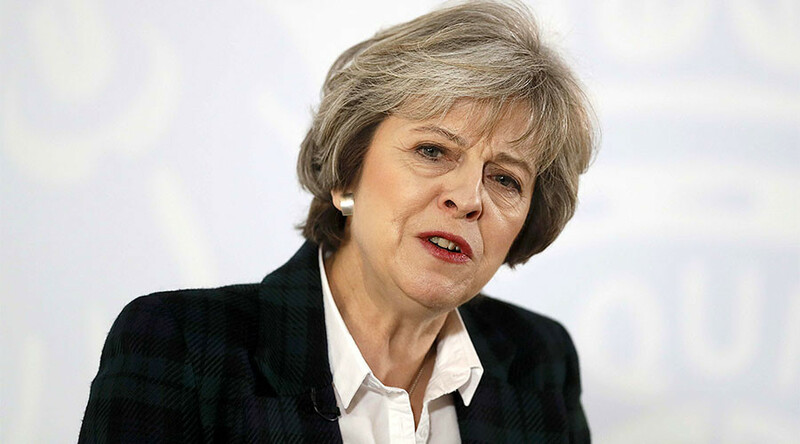 Today we are under the stewardship of Theresa May, with her robotic responses and disastrous decisions. As an ex-Home Secretary you would think she would have a brief for law and order. Not a bit of it. Since 2010, when the Tories took over, police numbers have dropped by 13% and are now at the lowest point since 1985. Perhaps more alarming is the drop of 19% in armed officers. This at a time when the government tells us that the terrorism threat is real and credible. Is it any wonder that deluded fanatics think it worth chancing their arms (and legs) in this climate of reduced response? Yet again, Metropolitan Police Chiefs describe their force as in crisis, as well as the London Mayor saying that the current round of cash cuts make it hard to keep residents safe. Government ministers parrot the "record levels of funding" response, telling us that everything is fine, we can sleep easily in our beds. Of course the ministers want us to snooze, so we don't see that, according to The National Audit Office, funding for the police has fallen by 22% since 2011. Earlier this year, the Police Federation was alarmed at the cuts. Theresa May said that this was scaremongering, telling the police leaders to stop crying wolf. This was after the UK's third terrorist attack in as many months. Despite the Prime Ministerial assurances that everything was fine, and that the Police Federation had got it wrong, Culture Secretary, Karen Bradley, told BBC Radio listeners that there had been, "reductions in police numbers across the board." The most important resource for intelligence gathering is not Internet snooping or phone taps, but it is the police in the community. All those eyes and ears cannot be replaced with wi-fi and computer chips. With 20,000 less people since 2010 the outlook is not good. So, is the strategy to reduce the effectiveness of the police so that there will be a public clamour for those "efficiency saving" private companies to swoop in to save the day? G4S, those fools who lose prisoners, use switched off tags, employ vicious thugs in the name of peace and quiet, tell us that if they were given the job it would save the government £1bn per year. This is the company which made such a mess of the security at the London Olympics that the army had to move in to make things safe. 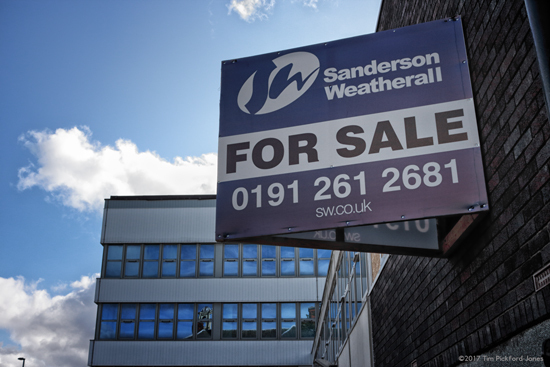 Police authorities throughout England and Wales are selling property as a crisis measure to shore up failing budgets. How many police stations near you have closed since 2010? Chief Constables are facing some of the most difficult decisions since 1829 regarding the provision of the police service. It is not the constables, chief or otherwise, that will bear the real cost of the Tory slash and burn. It is us, the public, who will be returned to the vagaries of landed gentry, or in this case the rapacious shareholders, to decide our fate. Policing doesn't come cheap, but the present policy seems to be to abandon the user, that's you and me, whilst lining the pockets of the already rich. The directors and shareholders of the very same G4S that has put itself forward as the answer to a May-den's prayer reads like a list of the great and good of the Tory party. Paul Condon, once a Chief Constable, now Lord Condon, earns £125,000 a year with 2,000 shares in the business. Clare Spottiswoode, ex-Treasury, ex-Ofgas, holds several directorships as well as earning £55,000 a year at G4S. John Reid, or Lord Reid of Cardowan as he likes to be known, who was Home Secretary in Saint Tony's government. is now a director and Regional Manager for G4S. His £50,000 salary paid dividends when he helped to secure a contract for the company to guard Ministry of Defence properties across the UK just three months after being appointed. The list goes on, but mention must also be made of the over 120,000 low paid employees of the company, not enjoying the fruits of the success. I wouldn't trust G4S to deliver my groceries, much less provide round the clock policing to the Robert Peel model. Compassionate Conservatives can exist; most of them are dead now, Robert Peel among them. The current crop are a self serving bunch of Machiavellian plotters, hell bent on feathering the nests of those with plenty of feathers. The general population is a means of creating their wealth, and if we are not careful we could be sleepwalking into a totalitarianism that is real, not just in history books and scary novels. The National Archives, Crime and Punishment 22nd October, 2013. UK Government Policing by consent, 10 December, 2012. The Institute for the Study of Civil Society Nine Policing Policies 29th December, 2013. Archived from the original on 16th May, 2014. The Guardian Police Better Off Under Tories Nick Paton Walsh 25th April, 2001. The Independent Did the Conservatives cut the Police and make us less safe from terrorist atttacks? Ben Chu 5th June 2017. New Statesman Theresa May's Police Cuts have Returned to Haunt her George Eaton 5th June 2017. BBC News Police cuts: G4S Says Private Firms Could Save Forces £1bn a year Danny Shaw 19th November, 2015. Corporate Watch G4S: Staff 10th September, 2012.